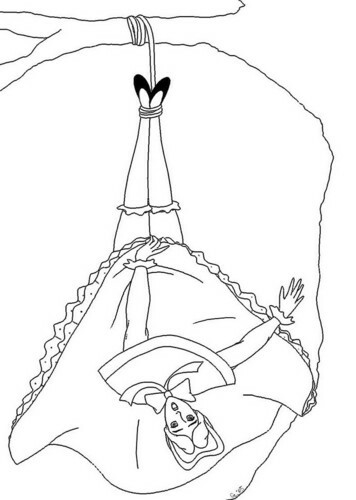 Alice's sister upside down. Alice got tired of her sister's boring lectures.. HD Wallpaper and background images in the Alice in Wonderland club tagged: alice in wonderland 1951 disney pantalettes. Alice got tired of her sister's boring lectures.